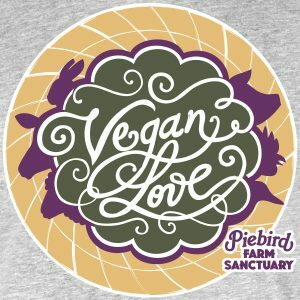 Piebird gift certificates make great gifts for the people in your life who love showing their support for sanctuary or who need to rejuvenate in the quiet, happy atmosphere of Piebird. 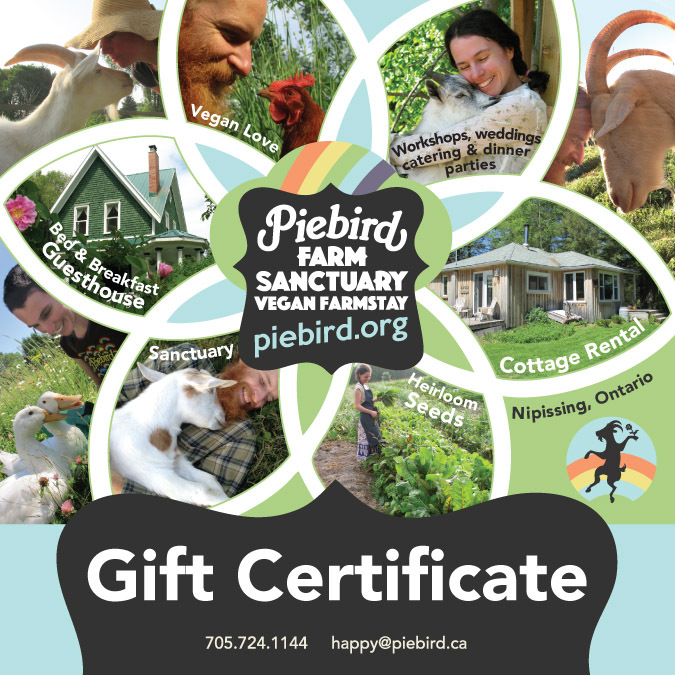 Gift certificate can be used in the online store, put towards a vacation at the guesthouse/B&B or cottage, vegan dining or Piebird Farm Sanctuary events. 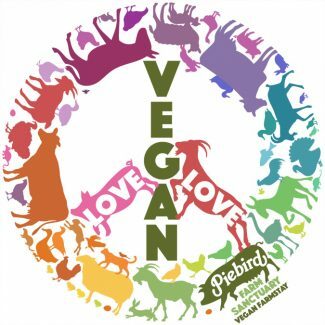 Contact us at (705) 724-1144 or love@piebird.ca if you would like to pay by cheque or order a specific package. When redeeming online, recipients can use their gift cards whenever they want simply by adding the code in the “Coupons” sections of the shopping cart — and it’s not necessary for them to use it all in a single order. 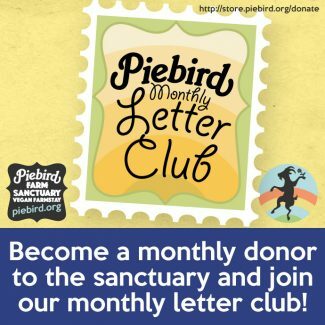 Become a donor & join our monthly letter club!